Ask Dr. Universe: What is the smelliest fruit in the world? Fri., Jan. 11, 2019, 3 p.m.
Our world is full of fruits that have all kinds of delightful smells. Maybe you’ve smelled the sweetness of watermelon, pineapple, peach, papaya or mango. But you might also be wondering about the most stinky fruit in the world. When I got your question, I asked my friend Lydia Tymon, a plant scientist at Washington State University. The first stinky fruit she thought of was the durian, a large, round fruit that grows mostly in Southeast Asia. The fruit is about a foot wide with a greenish-brown husk that has lots of spikes on the outside. Some people have compared the smell of a durian fruit to rotting onions or sewage. In some countries in Southeast Asia, there are even signs that say not to bring durians on buses and trains. Earlier this year, a college in Australia evacuated a library when someone reported the smell of dangerous chemicals or a gas leak. The culprit was just a durian fruit someone left behind. 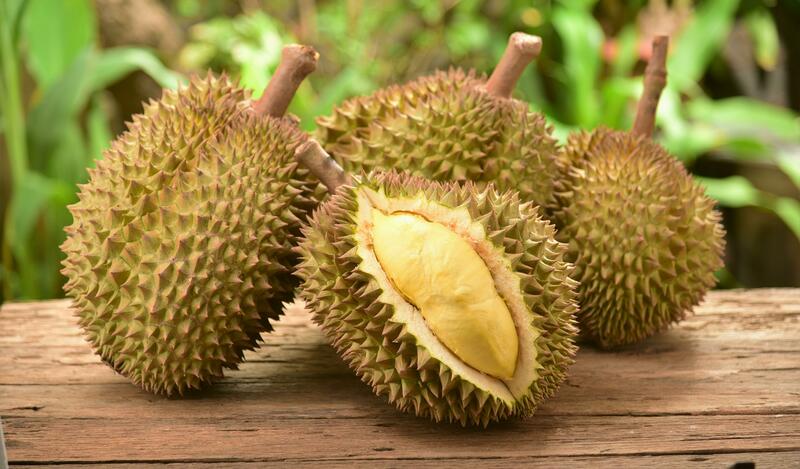 Even though durian has an unusual smell, it’s sometimes used in recipes from Southeast Asia. When the fruit ripens, it has a custardy texture. In small amounts, it can add just the right flavor to rice dishes and sweet treats like cakes, crepes and candies. In China, it’s even a popular pizza topping. Pretty much all fruits will eventually rot and get smelly. Tymon studies how tiny living things like microorganisms can make plants sick. Yep, plants can get sick, just like us. Some microorganisms also depend on different fruits to get the fuel they need to survive. But as they eat them, the fruits start to go bad, or spoil. When the microorganisms eat, they also start to produce gases which can smell pretty rotten. Whether it’s the sweet smell of ripe fruit, the stench of a durian, or the stinky smell of a rotting fruit, we can trace all scents back to molecules. A molecule is a group of atoms, the building blocks that make up pretty much everything. When atoms bond together, we get a molecule. When those molecules come in contact with the receptors in your nose, they send a message to the brain to help determine what exactly you are smelling. Some scientists can use what they know about atoms and molecules to create artificial fruity smells – like cherry or grape – in the lab. The part of your brain that processes messages from smelly molecules is actually the same part responsible for memories. That’s why when we smell something, it can often bring up different memories and emotions. I don’t know about you, but one of my most favorite smelliest smells might just be fruit baked into a pie. Do you have a favorite fruit smell? Have you ever smelled a durian or another kind of stinky fruit? Tell us about it sometime at Dr.Universe@wsu.edu. Published: Jan. 11, 2019, 3 p.m.